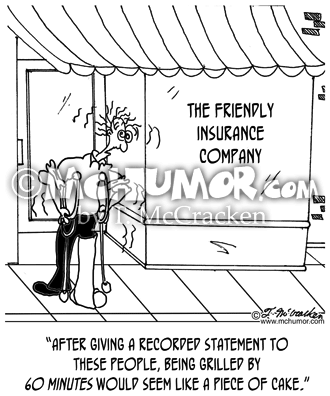 Insurance Cartoons 8363: A shaken man on crutches in front of "The Friendly Insurance Company says,"After giving a recorded statement to these people, being grilled by 60 Minutes would seem like a piece of cake." 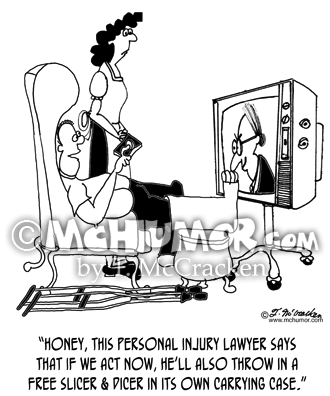 Lawyer Cartoon 8364: “Lawyers to Avoid.” A lawyer on TV advertises, “Need a lawyer? 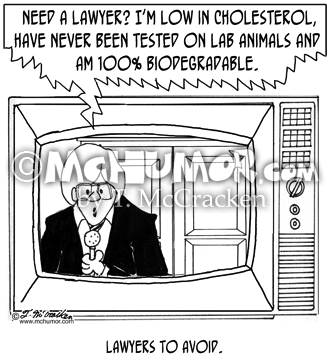 I’m low in cholesterol, have never been tested on lab animals and am 100% biodegradable." 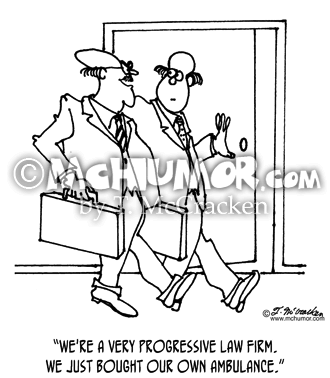 Lawyer Cartoon 8365: A clerk at a law office hands a man a tag says, "#4857832. 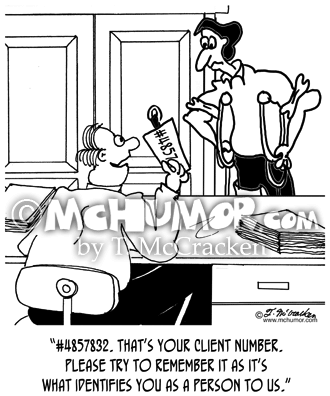 That's your client number. 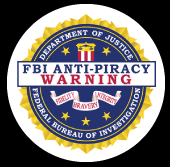 Please try to remember it as it's what identifies you as a person to us." 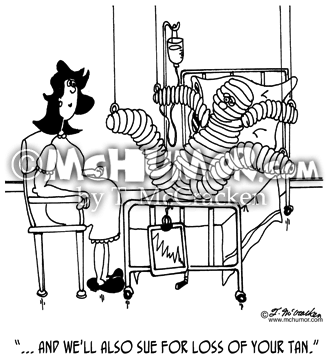 Lawsuit Cartoon 5300: Woman saying to a man bandaged head to toe, "... And we'll also sue for loss of your tan." 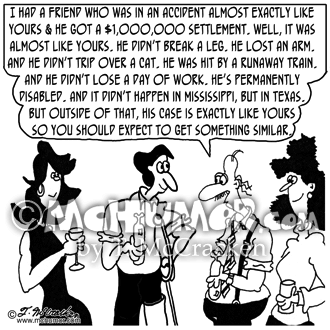 Law Suit Cartoon 8367: A man says to another, “I had a friend who was in an accident almost exactly like yours & he got a $1,000,000 settlement. Well, it was almost like yours. 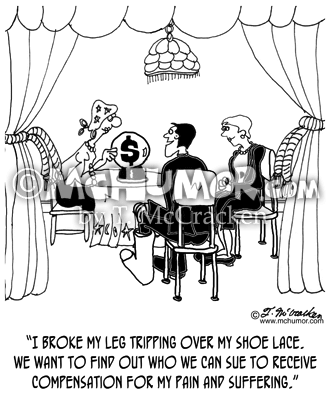 He didn't break a leg. He lost an arm. And he didn't trip over a cat. He was hit by a runaway train. And he didn't lose a day of work. He's permanently disabled. And it didn't happen in Mississippi, but in Texas. 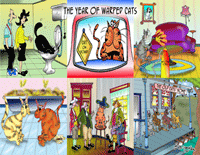 But outside of that, his case is exactly like yours so you should expect to get something similar." 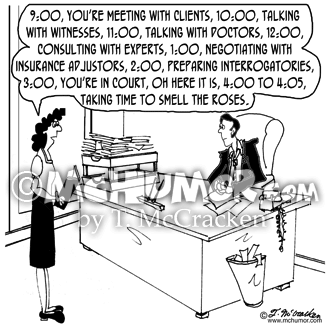 Lawyer Cartoon 8369: A secretary looking at a schedule says to a lawyer, "9:00, you're meeting with clients, 10:00, talking with witnesses, 11:00, talking with doctors, 12:00, consulting with experts, 1:00, negotiating with insurance adjustors, 2:00, preparing interrogatories, 3:00, you're in court, oh here it is, 4:00 to 4:05, taking time to smell the roses." 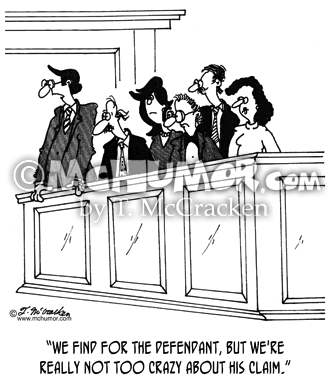 Jury Cartoon 5573: A jury foreman saying, "We find for the defendant, but we're really not too crazy about his claim."